Three days ago Joe Satriani talked to MusicRadar and discussed his lawsuit against Coldplay, in which he accuses the band of copyright infringement over their song Viva La Vida, which he claims lifts "substantial, original portions" of his 2004 track If I Could Fly. "With the greatest possible respect to Joe Satriani, we have now unfortunately found it necessary to respond publicly to his allegations. If there are any similarities between our two pieces of music, they are entirely coincidental, and just as surprising to us as to him. Joe Satriani is a great musician, but he did not write or have any influence on the song Viva La Vida. We respectfully ask him to accept our assurances of this and wish him well with all future endeavours. 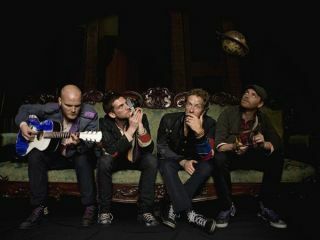 Coldplay. Coldplay's response comes in the aftermath of MusicRadar's interview with Satriani, in which he said the first time he heard the title track to the band's album, he felt like "a dagger went right through my heart. It hurt so much. The second I heard it, I knew it was [my own] If I Could Fly." According to the Associated Press, Joe Satriani's attorney, Howard E King, said Coldplay's statement differs dramatically from how the guitarist's claims were treated pre-lawsuit. "We attempted to have a dialogue on this before we went public," King said. "We felt almost forced to file suit. As far as the 'coincidence,' ultimately that's for a jury to decide." Satriani himself told MusicRadar, "I did everything I could to avoid a court case with this situation. But Coldplay didn't want to talk about it. They just wanted this whole thing to go away. Maybe they figured this little guitar player guy will leave them alone after a while, I don't know." From the sounds of it, Coldplay feel the matter is settled. But Satriani and his camp aren't backing down. Will this ultimately wind up in court? Time will tell. MusicRadar contacted Coldplay's management and record label for comment. At present, all calls have gone unreturned.